This post is going to be short and sweet. Halloween my favorite time of year (its tied with Christmas!) and one of my favorite movies from my childhood is The Nightmare Before Christmas. So every year I watch it around Halloween (and Christmas too!) 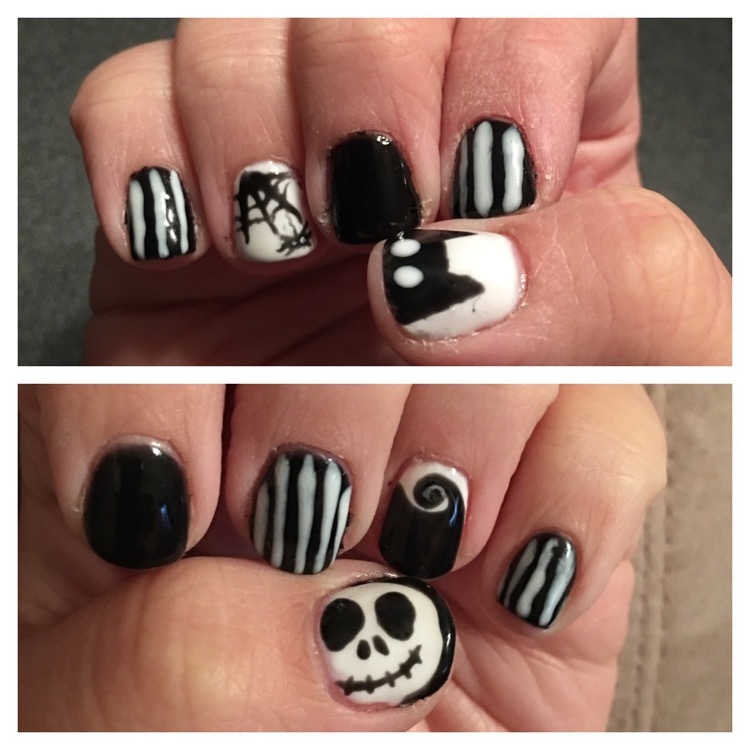 and thought I would do a themed manicure to go along with watching the movie last night! Enjoy!! !